Didn't like the Cap & Gown portraits you had taken at school? 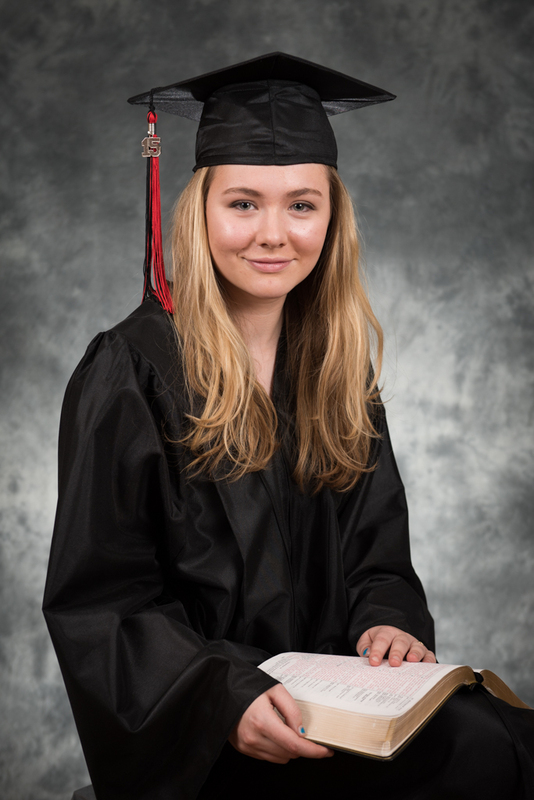 Or are you a homeschool graduate needing Cap & Gown portraits? 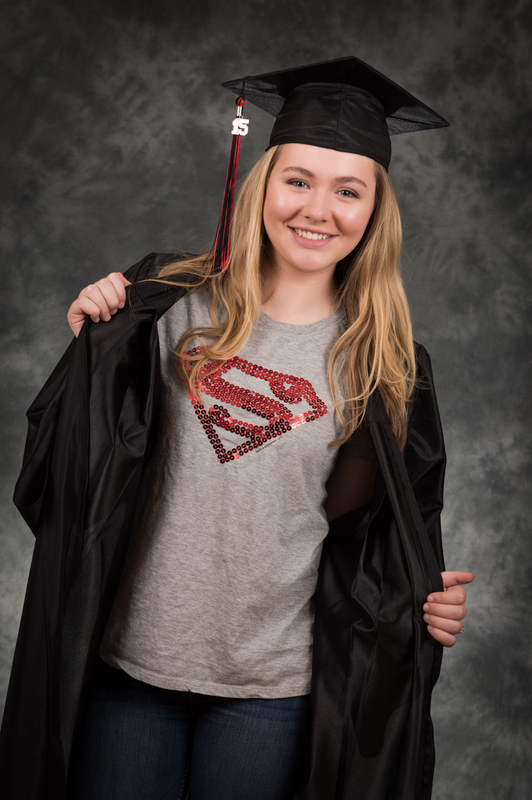 Mortensen Photography is pleased to offer a special Cap & Gown Portait Mini-Session. 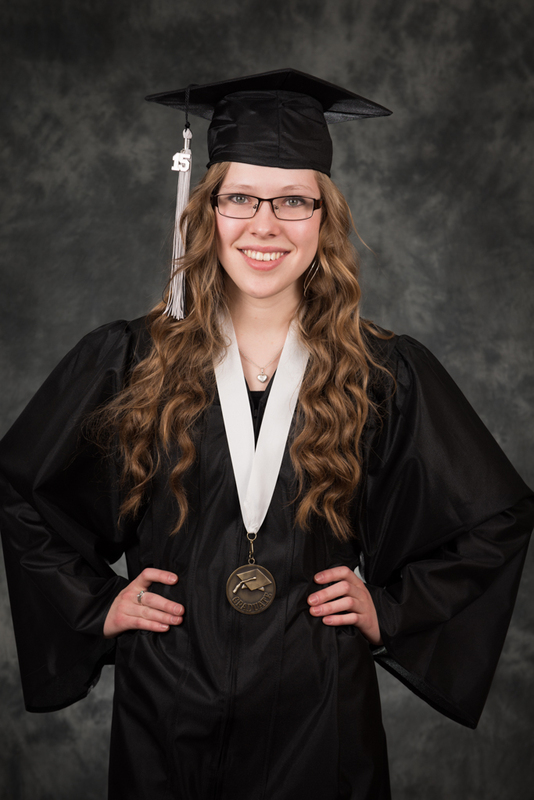 My Cap & Gown Portrait Mini-Session is $150 and it includes a 30 minute in-studio session plus 5 digital images. I take a minimum of 5 poses, some traditional, and some fun ones to show your personality. I have black or royal blue cap and gown sets in studio for you to wear at your session, and a variety of colored tassels and props available for you to use. You will be emailed within 2 weeks after your session and given access to your own private online gallery where you will be able to view, choose, and download your 5 digital images. Plus, you will have the option of purchasing additional digital images and printed photographs if you would like. All images are retouched. Prints are professionally printed on luster paper, and prints sized 11x14 and up are mounted on styrene board. Digital Images are delivered to you by online download. Prints may be either picked up in Calgary, or mailed to you. Shipping & GST are extra. Cap & Gown Portrait Mini Sessions are available any time of the year by appointment. For more information or to book a session please fill in the contact form below. If you would like more information, or wish to book a Cap & Gown Mini-Session contact me today. Thank you for your interest in Mortensen Photography. I will get in touch with you soon.